SPEEDY Promotion & Merchandising - Memoboard AC/DC "Highway To Hell"
Main page » Others » AC/DC Memoboard "Highway To Hell" - SPECIAL OFFER ! 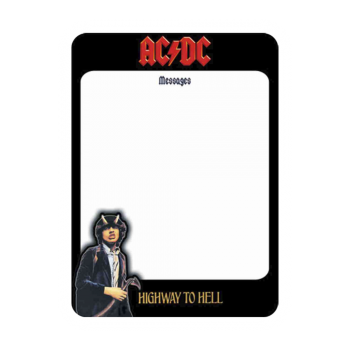 AC/DC Memoboard "Highway To Hell" - SPECIAL OFFER ! Memoboard AC/DC "Highway To Hell"